Early introduction of egg and peanuts could help prevent 24 cases of egg allergy per 1,000 people and 18 cases of peanut allergy per 1,000 people, according to research published in the Sept. 20 issue of the Journal of the American Medical Association. In a study Robert J. Boyle of Imperial College London and colleagues examined the evidence that timing of allergenic food introduction during infancy influences risk of allergic or autoimmune disease. 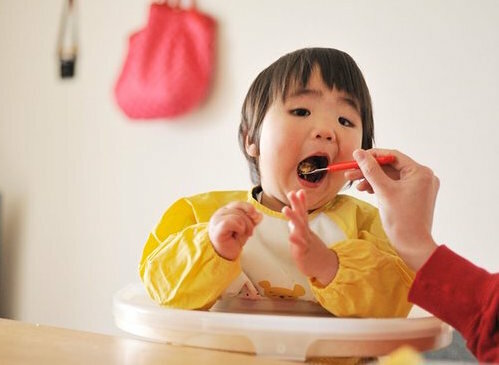 Infant feeding guidelines have moved away from advising parents to delay the introduction of allergenic food, but most guidelines do not yet advise early feeding of such foods. Timing of introduction of allergenic foods to the infant diet may influence the risk of allergic or autoimmune disease, but the evidence for this has not been comprehensively examined, say guidelines. For this study, researchers conducted a systematic review and meta-analysis of intervention trials and observational studies that evaluated timing of allergenic food introduction during the first year of life and reported allergic or autoimmune disease or allergic sensitisation. Of 16,289 original titles screened, data were extracted from 204 titles reporting 146 studies. The authors found evidence that timing of introduction of certain allergenic foods to the infant diet was associated with risk of allergic disease but not risk of autoimmune disease. There was moderate-certainty evidence that introduction of egg to the infant diet at age four to six months was associated with reduced egg allergy, and introduction of peanut at age four to 11 months was associated with reduced peanut allergy, compared with later introduction of these foods. Absolute risk reduction for a population with 5.4% incidence of egg allergy was 24 cases per 1,000 population. Absolute risk reduction for a population with 2.5% incidence of peanut allergy was 18 cases per 1,000 population. There was low-certainty evidence that fish introduction before age six to 12 months was associated with reduced allergic rhinitis and very low-certainty evidence that fish introduction before age six to nine months was associated with reduced allergic sensitisation. Meanwhile, there was high-certainty evidence that timing of gluten introduction was not associated with coeliac disease risk, and timing of allergenic food introduction was not associated with other outcomes. The authors note that these systematic review findings should not automatically lead to new recommendations to feed egg and peanut to all infants. “The imprecise effect estimates, issues regarding indirectness, and inconclusive trial sequential analysis findings all need to be considered, together with a careful assessment of the safety and acceptability of early egg and peanut introduction in different populations,” they say. “The rigorous, comprehensive meta-analysis by Ierodiakonou and colleagues is an important addition to the evidence regarding food allergy prevention,” writes Matthew Greenhawt of Children’s Hospital Colorado, Aurora, in an accompanying editorial. “Their conclusions highlight that the 2008 guidelines to not delay introduction were correct. Delay of introduction of these foods may be associated with some degree of potential harm, and early introduction of selected foods appears to have a well-defined benefit.